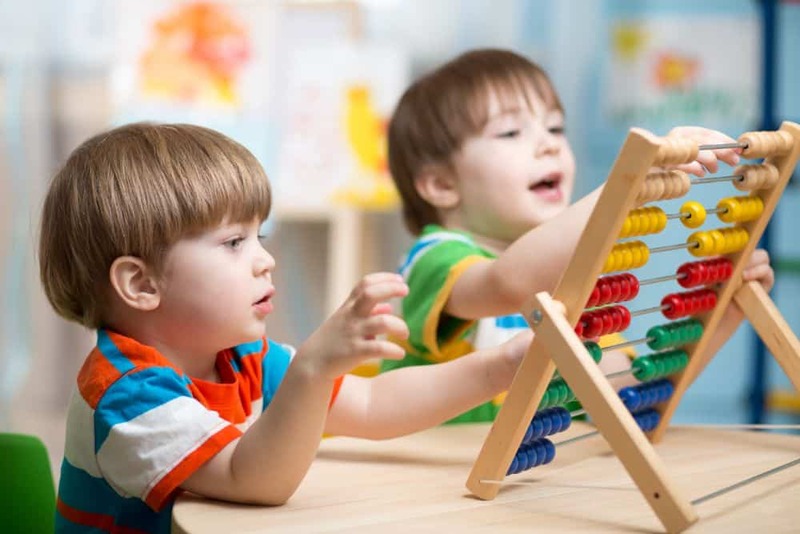 Do you want to make sure your little boy plays with age-appropriate toys that help him learn? Are you wondering what the best toys are for your little man? Well, you’re going to find out in this guide. Your 3-year-old boy will continue on his learning journey and develop essential life skills before he hits school age. The best way to encourage this is through daily playtime sessions. First, let’s look at some of the developmental stages of 3-year-old boys. Then we’ll examine what you should look for in a toy and some of our favorites on the market today. When we talk about developmental milestones, we mean certain skills that most other children of the same age will have. It’s important to keep working on those skills so they can progress further. Let’s look at what skills a child should have at this age. Becoming more inquisitive about the world. Being able to name some popular colors. Starting to count and tell the time. Ability to say between 250 and 500 words (source). Be able to answer and ask questions. Enjoy a short conversation with strangers. Becoming more social with children their age. Able to understand the concept of sharing. Draw a stick person and other simple shapes. Write some letters and numbers. Build towers with up to six blocks (source). Climb, run, and walk confidently. Ride a tricycle and start on a bike with training wheels. There are some key things you should look out for when it comes to buying toys for 3-year-old boys. Durability: Let’s be honest, good children’s toys aren’t cheap. When you purchase a toy, you want it to last and this is only going to happen if it’s made from durable materials. Also, a toy that can be used indoors and outdoors usually indicates its made to last, and as we all know, boys can be rough when playing. Imagination: Little boys love to create stories and often use toys as an outlet for their imaginations. This is great for their cognitive development. So, look for toys that let your child express themselves through play. Staying active: Three-year-old boys are running around more than ever. They’ve got high energy levels, so toys that require them to be active will help with this. Toys such as ball games, bikes, and scooters can help their gross motor skills as well. Here are some of the best options for your boy, to help him achieve those developmental milestones. For some fun in the sun, you can’t go wrong with this light-up scooter. Your boy can race around the yard with this durable, steel-aluminum framed ride. It has three wheels, which creates stability, and your child can use their feet to push off and ride. The handlebar is secure for promoting balance. It’s also adjustable, which means you can achieve the right height for your child. It has a maximum weight load of 80 pounds. The flashing multi-color lights on the wheels are a novelty for your child and might make play more exciting in the evenings. We love this puzzle because it’s six animated and colorful puzzles in one. 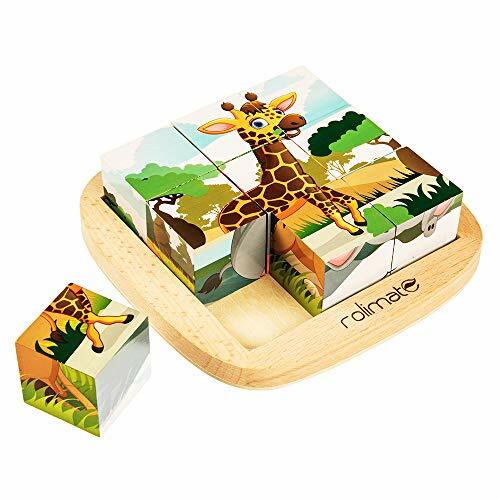 Your growing boy can enjoy building the puzzles and seeing their favorite animals come to life. This includes a tiger, lion, and zebra. The fact that it’s three-dimensional makes it easier to handle too. Another good feature is that it’s made from high-quality wood. The beech wood is smooth to handle, with less chance of injury. The surface of the blocks is also polished and uses organic pigment so that it’s not harmful to kids. Arts and crafts can be a great way for boys to use their active imagination. 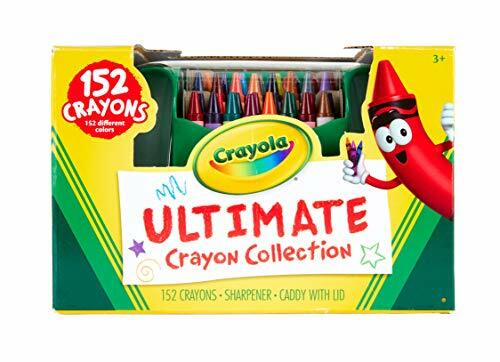 With these colorful crayons, you can let your child express their feelings and draw their favorite animals and objects. It also comes with a storage caddy to keep them all together and for packing away after playtime. This is an important feature, given there are 152 crayons in this set. There’s a great range of colors, which include attractive glitter and metallic shades. They’re designed to be safe and are non-toxic for children, which gives you peace of mind during playtime. Plus, they’re double wrapped so they don’t break easily. 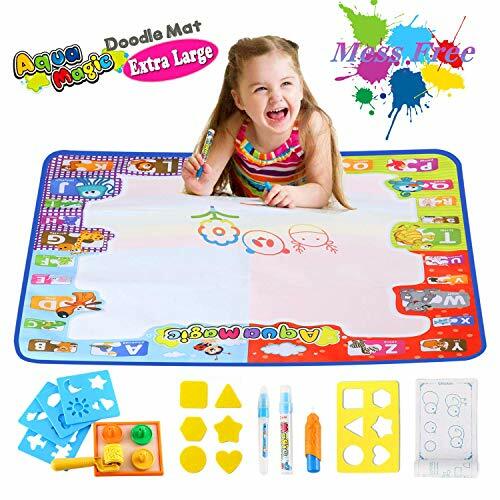 This doodle drawing mat allows your young man to use his imagination without making a mess around the house. It’s big enough for several kids to enjoy and they can have fun with the colorful pens and drawing molds. What’s great about this toy is that the doodles and drawings automatically fade after around 10 minutes. That means this drawing mat can be enjoyed over and over again. It’s lightweight and easily folds away for storage. Animals and letters surround the border of this mat for learning fun along the way. We aren’t short on supplies here either — it includes a magic roller and set of stamps. Loved by everyone, Play-Doh brings back lots of memories. This brightly colored and moldable material allows children to enjoy arts and crafts, with endless opportunities for creation. They can make shapes and characters, using their imagination and fine-motor skills. Rest assured that Play-Doh is a non-toxic toy. This means it’s safe to be handled by children without you having to worry. However, if your child is allergic to wheat gluten, this product isn’t recommended. 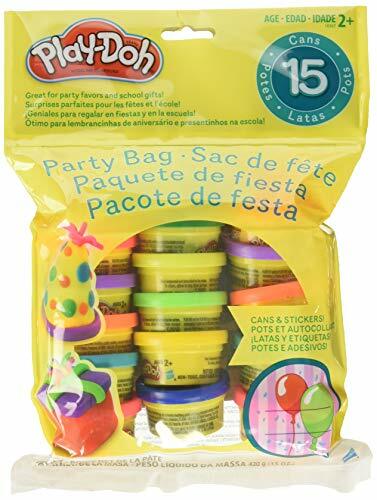 The 15 Play-Doh tubs come with a set of personalized “to” and “from” stickers, in case you want to gift them out to friends’ kids. A great option for party favors — don’t forget to invite us! We all know little boys love anything action-packed. This toy is a fantastic way to allow more of that creativity to shine through. The fire truck can come to the rescue with its moving parts, ready to fight the flames wherever they may be. 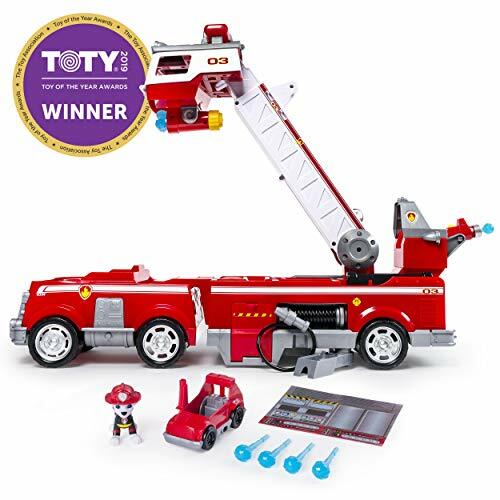 Your little boy can use the 2-foot tall extendable ladder, water cannon launchers, and the mini fire cart. Batteries are included, so the lights and sounds are ready to enhance playtime, straight out of the box. Paw Patrol’s Marshall will stand on guard as your little one battles the raging fire. And the working claw arm can be activated in case anyone is stuck inside the building. This one is definitely a winner. Is your 3-year-old boy starting to understand time better? You can help them progress further with this clock toy. 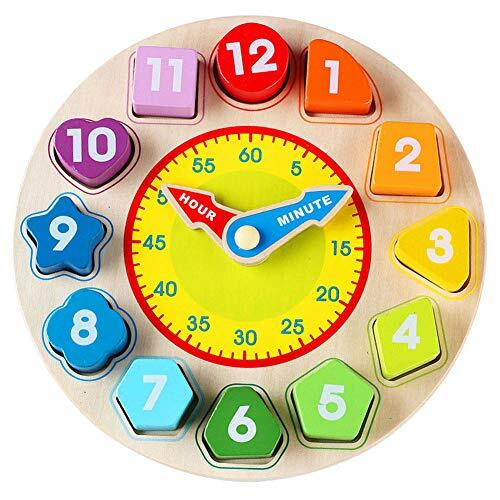 In addition to shapes and colors, your little one can begin to learn how to tell the time. This clock also promotes hand-eye coordination. Even if your child is too young to tell the time, they can use their problem-solving skills to move the shapes into the correct time slots. We appreciate that non-toxic paint has been used and the wooden board is durable and lightweight for storage. Does your little boy love a challenge? You can test his problem-solving skills with this fun, colorful board. 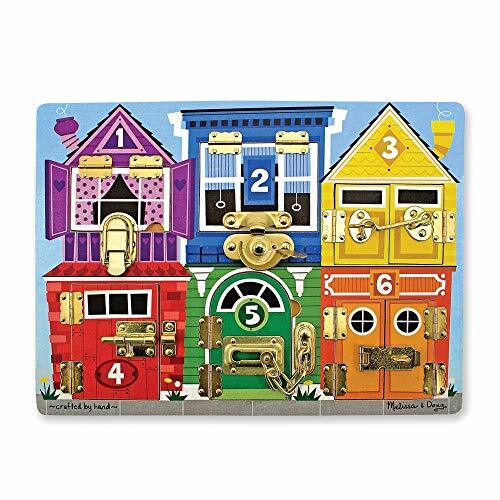 There are flaps that can be lifted; but first, your 3-year-old must figure out how to unlock the six latches. Each latch corresponds with a house, color, and number. Once opened, animals will be revealed underneath that match the number listed above. A good thing about this toy is that it’s durable and made from smooth-sanded wood that’s solid and hardwearing. This special toy should stick around for a while. This supercool starter bike will help your little boy learn to balance and, one day, ride completely on his own. Until then, don’t worry, there are stabilizing training wheels to help him out. 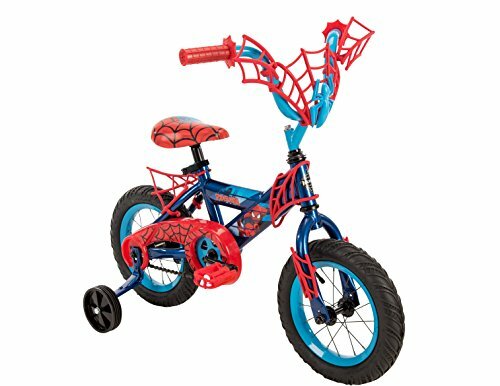 One of the best parts about this boy’s bike is the design, complete with the iconic blue and red colors belonging to Spiderman. Your little guy will be excited about the web feature on the handlebars, to which he can attach some toys. If this doesn’t make your boy start riding, we don’t know what will! This bike is constructed from a solid steel frame for durability. It also has an adjustable seat to ensure the right height. Is your child at the stage where he loves to create stories? 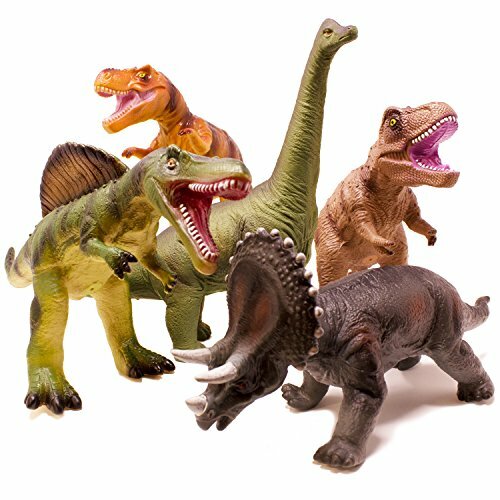 You can encourage him with these realistic dinosaur figures, suitable for indoor and outdoor play, due to their durability and rugged design. He can use his imagination to create a prehistoric world of his own, and even play with friends, with five dinosaurs to go around. The different dinosaurs mean they can take each other on in battle. The figures are also made from 100 percent non-toxic and lead-free material, so no worries if they end up in the mouth every now and again. It happens. Planning a trip to the oceanside? This toy may be one of the best ways to combine learning with fun in the sun. 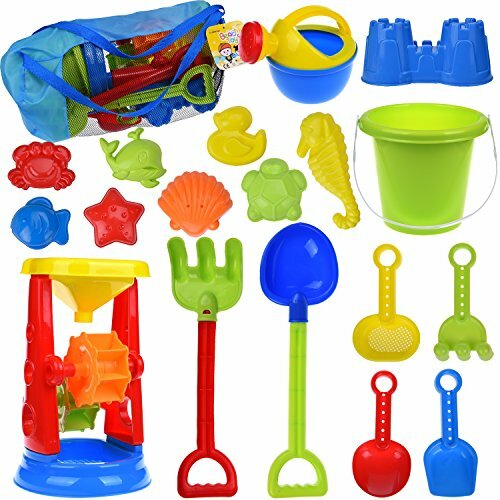 This set features 19 toys for kids, including a beach bucket, sand castle molds, spades, a watering can, a funnel, and more. A great opportunity for siblings to play together, or for mom and dad to join in the fun. All of the toys are made from plastic which is BPA-free. This set also comes with a durable mesh bag, making transportation easy, not to mention drying time. 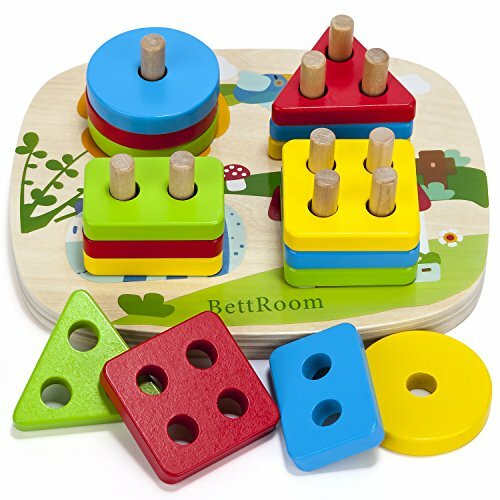 You can help your child learn more about shapes and colors with this wooden geometric game. The aim is for him to use his problem-solving and fine motor skills to choose the right shapes to fit on the pegs. What’s more, this is a safe toy for your 3-year-old. It’s constructed from BPA-free and non-toxic materials. The wood is also smooth, so there’s no danger of a splinter finding its way into your little one’s finger. You’ll get 16 pieces in this stacking set. If your boy loves to build and take things apart, he might be over the moon with this musical learning workbench. It comes with realistic tools, blocks, and even a bench clamp. He’ll have the opportunity to construct and role play with the real tool sounds and lights. Count, sort, and hammer away — there are multiple options for playtime here. We have a feeling that after a few rounds of work, he’ll be imitating dad in no time. If the sounds become unbearable, a volume off option is included, with parents’ sanity in mind. Do you think you’ve got a little musical genius on your hands? With this colorful and versatile guitar, you can help your child develop their musical ability. Your little boy can explore the different sounds with a three-in-one setup. He can play the guitar, piano, or drums. He can also hit the buttons and hear all the cool effects, such as rock or jazz. 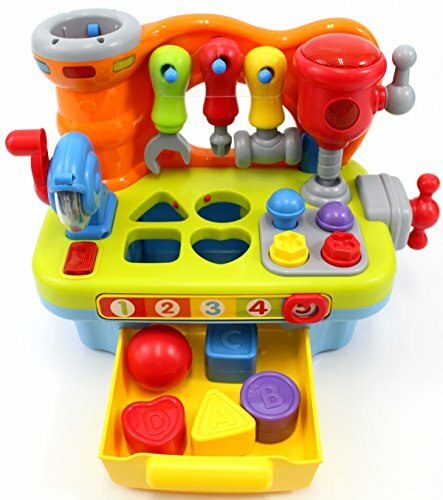 This toy is also great for helping children practice fine-motor skills and hand-eye coordination. With flashing lights and songs included, your little one’s gonna be jamming out soon, hopefully not too loudly. Marvel meets Hot Wheels with this set of five cars. 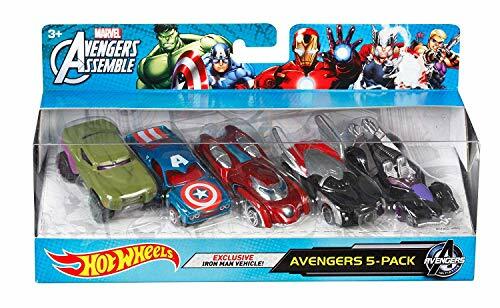 Now the Avengers have their own character cars that allow your boy to play superhero any time he wants. All of the cars have cool designs to resemble their Avenger. This includes a truck and a sports car. The wheels ensure they’re usable on any flat surface, so send him on the patio if you have space for it. Decorations and colors may vary with this pack, so don’t be surprised if you wind up with other options than what you see included. 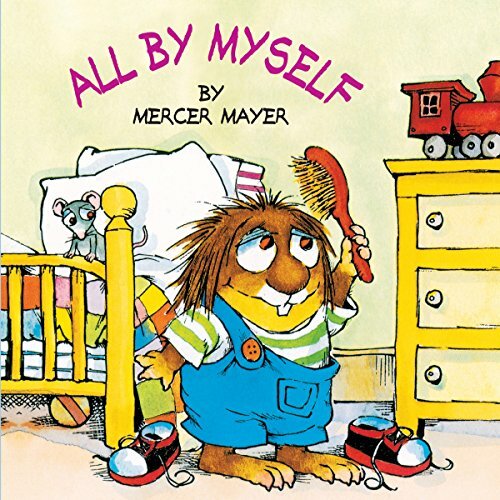 Mercer Mayer has been a well-loved children’s author for decades. The adorable critter in this book is trying to learn the same things as your little boy. From riding a bike to tying his own shoelaces, your kid can laugh along at this funny tale. The pages have large and colorful illustrations to keep your child interested. We hope this could encourage him to brave independence, even when it feels scary and includes many mistakes along the way. Some little boys really despise bathtime. Well, it’s time to bring some fun into the tub with an awesome toy like this one. 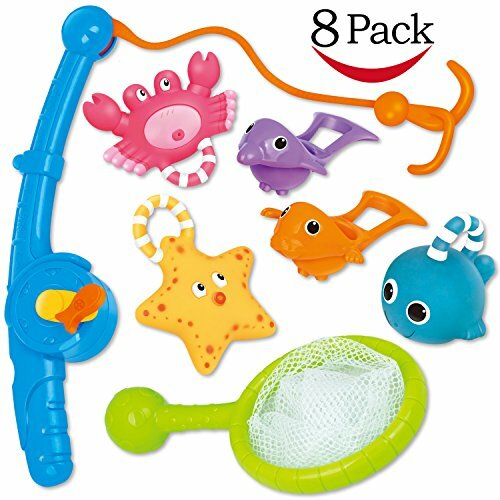 This pack comes complete with a fishing rod and net, which your kid can use to catch the colorful floating fish. When your little man has finished his fishing expedition, he can fill three of the fish with water and squirt away. Also suitable for sprinkler time or in the swimming pool, the toy set comes with a mesh organizer bag, which can help to make sure this toy stays clean and dry. Sports are a great way for boys to learn teamwork, coordination, and gross motor skills, such as running. 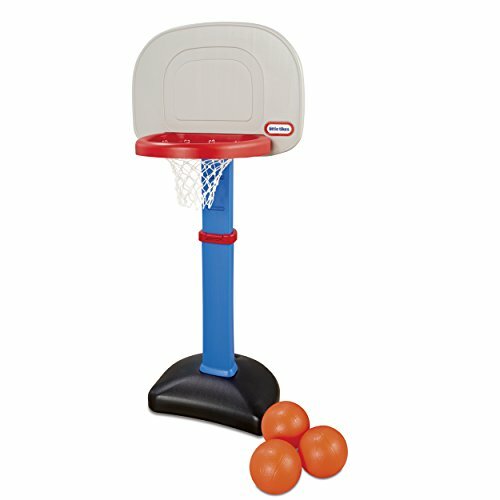 This basketball set may be just what you need to shake off the lazies and get your little boy active. It’s also a good way to have some fun together or with friends. Three junior-size basketballs are included. The basketball hoop is adjustable in height, from 2.5 to 4 feet. The rim is wide for beginners, and it has a base that makes it stable to use. Suitable for indoor or outdoor play, you can weight it with sand to ensure that it’s safe and won’t tip over. You can exercise your child’s cognitive skills with this toy, which has learning activities on the color-changing screen. 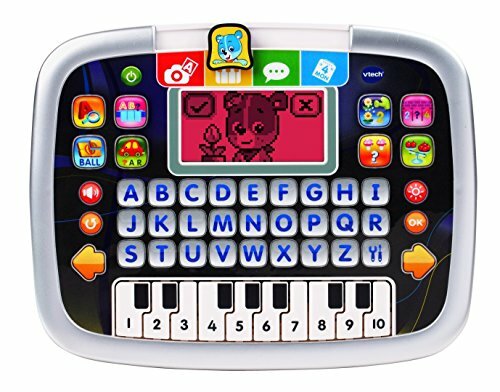 They can play the keyboard or engage with the letter buttons. Teaching counting, number order, and more, you won’t be missing much with this option. Progressive learning levels are included, which we always appreciate, so your little one can be both challenged and confident as he develops. The durable design and automatic shut-off also make it a favorite among parents. Boys this age have plenty of energy to spare and developmental milestones to hit. Luckily, there are numerous toys to keep them engaged and learning simultaneously. If we had to choose a favorite from this list, it would be the Voyage Sports kids scooter. We love the fact that it’s an outdoor-friendly toy and perfect for rowdy 3-year-old boys. 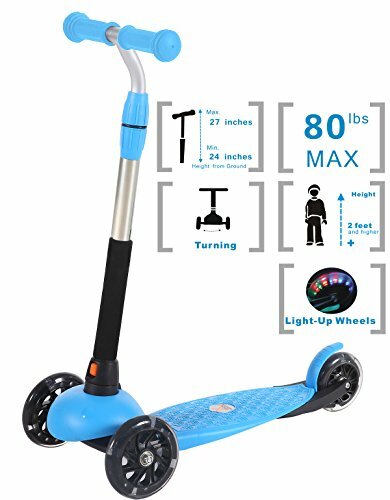 The fact the scooter is adjustable makes it a great value and it can last for a good few years. Let’s not forget the cool, light-up wheels. Do you have a favorite toy for 3-year-olds from our list? If you do, why not share it with us in the comments? We’d love to hear what you think. And please share our article with the parents in your inner circle.